The Syrian war was an artificial, deliberately planned and meticulously staged conflict from the very beginning, Carla Ortiz, a Bolivian documentary filmmaker told RT. She believes western MSM played a decisive role: repeating a stereotypical narrative while twisting the reality. Ortiz, the director of the “The Voice of Syria” documentary, recently returned from the war-torn country, where she visited regions which suffered most from the conflict. She talked to the Syrian people struggling to save their country while rebuilding their shattered lives. The real situation in Syria she witnessed is very different from the common narrative peddled by the western MSM. The entire idea of the Middle East being a “territory of a constant conflict” plagued by “dictators,” and Westerners being the “saviors” of the local people, is so customary you “almost stop questioning what you hear,” Ortiz told RT Spanish. “Only when I’ve started to get into it, I realized that the reality, which exists on the other side, is completely different. It drastically contradicts what I supposedly ‘knew’ about it,” Ortiz said. The Syrian conflict is portrayed by the western MSM as something “natural” and “organic” but she left with the feeling that it’s an artificially created campaign orchestrated from the outside. “The war was deliberately and meticulously staged,” Ortiz told RT. 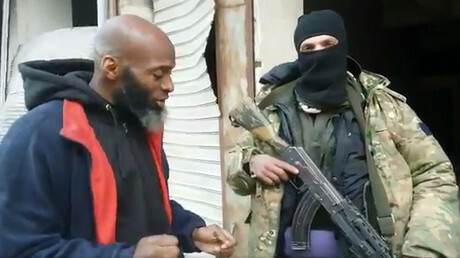 Locals told the filmmaker, that not only was the initial unrest organized and fuelled by foreigners, who infiltrated the country, but even now, the majority of militants fighting against the Syrian army are of foreign origins. “After having traveled three fourths of the country, I realized that my dialogue with Syria’s people always repeats itself. Regardless of a place, social rank and even religion, I got the same answer everywhere – this war was created artificially,” Ortiz added. The religious component of the conflict also proved to be greatly exaggerated, as Syrian people of different religious denominations have lived in harmony for ages. “I made a mistake once, I asked one man – ‘Are you a Muslim?’ And he told me – ‘I’m Syrian, we don’t ask about religion in Syria,” Ortiz said. The Syrian people distrust western media and the West as a whole, and holds them largely responsible for the destruction of their country. 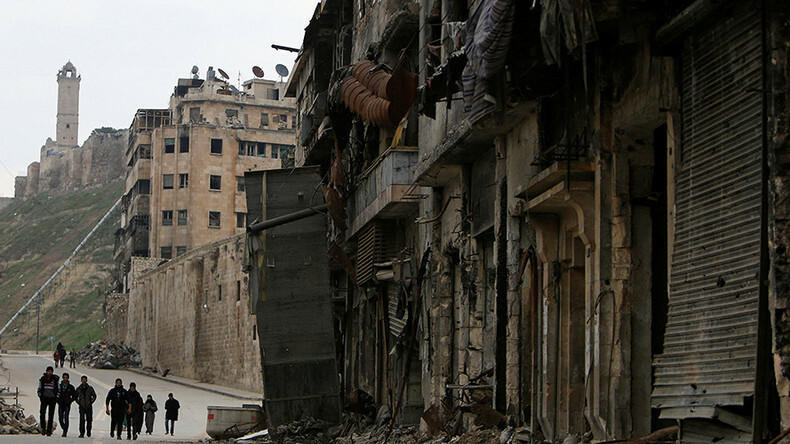 The West made ousting the Syrian president a priority, instead of fighting terrorism. Western media consume information from dubious sources and present it as “reporting.” Even those few journalists, who were in Syria while Ortiz was filming her documentary, preferred to “report” from the safety of their hotel rooms. “I can confirm, that at the critical moment of the Aleppo battle, I travelled all six fronts and there were nobody from international media,” Ortiz said. Ortiz witnessed and filmed the Aleppo liberation, and can state with authority that many videos, which emerged during these hard times depicting “Assad atrocities” or “Russian atrocities” were fake. Such videos have little to no gunfire, bombing and shelling sounds, while the fighting in the days before Aleppo’s liberation was really intense. “In all my videos you can hear gunfire. I don’t know where such footage was filmed, if it doesn’t have such sounds, especially if it was allegedly filmed in East Aleppo,” Ortiz said. Various shady groups, portrayed by the western media as brave warriors and “heroes,” such as the infamous White Helmets, are perceived quite differently by the Syrians. Rather, they are viewed as militants and terrorists who have and continue to rip their nation apart. Syrian soldiers, young men and women, majority of whom are volunteers, struggle daily to save their country from terrorists, who grew strong on the “free advertising” provided by western MSM. It’s the Syrian army, which fights for its country, not some “Assad army” or “regime forces” as the MSM portrays them, Ortiz said.